Are There Really 41% Fewer Musicians? According to the Federal Bureau of Labor Statistics, 41% fewer people now describe themselves as musicians than in 1999. That doesn't refer to musician hobbyists, but musicians that get paid, although they may not make their living directly from music. Depressing, right? There's been a lot of contradiction about those stats by various parties (check out this great article on Ars Technica), but the fact is that even the best estimate places the number at 8% less than 1999. Regardless of which figure you use, the fact of the matter is that as the recorded music sales drops, so does the job opportunities for musicians. 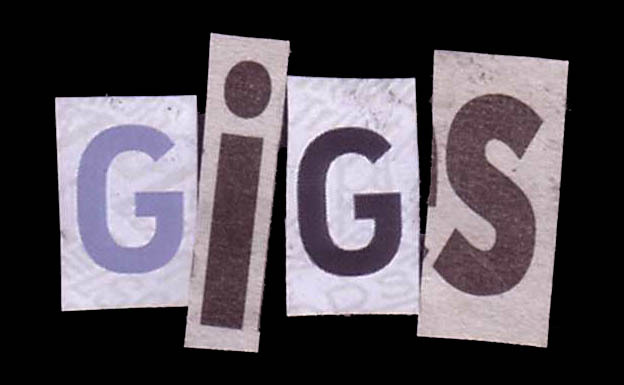 Paying gigs are harder to find because there are fewer venues. Many of the existing venues have instituted a pay-to-play format. Fewer record deals are available because there are fewer record labels and way fewer A&R talent scouts. The existing record labels only want to take a chance on a sure thing. The recording budgets are minuscule as compared to 10 years ago. The farm team system and student/mentor relationship of the pre-2000 days barely exists anymore in the music business. And I'm sure you can probably add a number of items that I haven't thought of here. The power to realize your creation is literally at your fingertips these days , and it's powerful and economical in an unprecedented way. 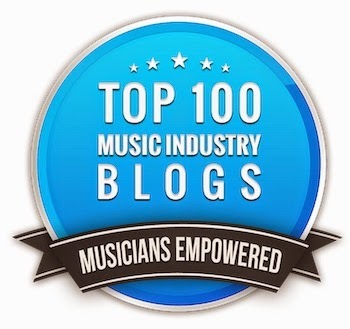 The information on musicianship, recording and production abounds. From books and videos (like those from yours truly), websites, online forums and newsletters, you can find the answer to just about any question in almost a blink of an eye. The ability to release a product and get it into widespread distribution is cheaper and easier than ever before. The ability to promote yourself is cheaper and easier than ever before. Okay, I know you can poke a hole in each of the above arguments and in various posts here and on my Music 3.0 blog I'm sure that I have, but I'm still optimistic for the future. The fact is that we're in the middle of a revolution and just about no one can predict the outcome. Even though the recorded music segment of the business has shrunk by 55% since 1999, the global income from all facets of music is at al all-time high And you can bet that somewhere in the near future a new technology will be created that will help musicians more easily monetize their abilities. These things go in cycles, and we happen to be in a trough at the moment. So hang tough, musos. Study and learn your craft and more about your branding and marketing, because better days are ahead. While so many engineers now attempt to master their own mixes with mixed results (pardon the pun), just about every major label and large indie still sends their mixes to a pro mastering facility. Regardless of if you decide to master yourself or use a mastering engineer, here are some tips from The Mixing Engineer's Handbook to help you get the most out of your mastering session. 1. Don't over-EQ when mixing. 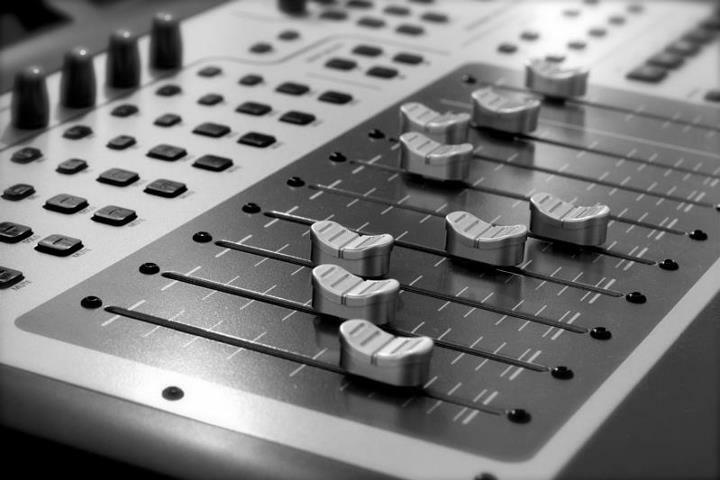 In general, mastering engineers can do a better job for you if your mix is on the dull side rather than too bright. Likewise, better to be light on the bottom end than have too much. 2. Don’t over-compress when mixing. You might as well not even master if you’ve squashed it too much already. Hypercompression deprives the mastering engineer of one of his major abilities to help your project. Squash it for your friends and squash it for your clients, but leave some dynamics for your mastering engineer. 3. Come prepared. Make sure all documentation and sequencing is complete before you get there. You’ll make it easier on yourself and your mastering person if everything is well documented, and you’ll save yourself some money too. Be sure to include shipping instructions and record company identification numbers, and if your songs reside on hard disc as files, make sure that each file is properly ID'd for easy identification (especially if you’re not there during the session). 4. Check your phase when mixing. It can be a real shock when you get to the mastering studio and the engineer begins to check for mono compatibility and the lead singer disappears from the mix because something is out-of-phase. Even though this was more of a problem in the days of vinyl and AM radio, it’s still an important point since many so-called stereo sources such as television are either pseudo-stereo or only stereo some of the time. Check it and fix it if necessary before you get there. 5. Go to the mastering session if possible. Most engineers and producers will go to the first few sessions when checking out a new mastering engineer to see if he has the same musical and technical sensibilities. After that, a bond of trust develops and they will simply send the mix master with any instructions. That being said, you should go to all of the mastering sessions if possible because it will always sound a bit different (and hopefully better) than what it sounded like during mix-down. Attending the session also allows for some final creative decisions that only you can make ("The kick is a little loud, see if you can de-emphasize it a bit," or "Let's squash the whole mix a little more to make this tune punchier"). 6. If you’re making a vinyl record or CD, known the song sequence. Sequencing (the order that the tunes appear on the CD or vinyl record) is especially important and making this list beforehand will save you money in mastering time. Many engineer/producers have the mistaken impression that once the final mix is finished, it's off to the mastering studio. There needs to be one additional session, known as the "sequencing session," where you do any editing that’s required (it’s cheaper to do in your own DAW than during mastering) and listen to the various sequence possibilities. This is really important if you’ll be releasing in multiple formats such as CD and vinyl or different countries or territories, since they may require a different song order due to the two sides of the record. 7. Have your songs timed out. If your project is going to be released on CD or vinyl, you want to make sure that your project can fit. Most CD's have a total time of just under 80 minutes (78:33 to be exact) although it’s possible to get an extended time CD (be careful, you may have replication problems). Obviously the available time decreases if you choose to include additional files on the ROM section of the disc. Cumulative time is important when mastering for vinyl because the mastering engineer must know the total time per side before he starts cutting due to the physical limitations of the disc. This is about 25 minutes per side if you want the record to be nice and loud. 8. Don’t be afraid to ask for help. If you’re unsure of the amount of compression or EQ that you’re applying while you’re mixing, send the mastering engineer a mix of a song and ask for his opinion. He can guide you on what you got right and what you got wrong so that when you finally deliver the master to him, the mixes sound their best. Believe it or not, mastering engineers love to do this because it makes their job a lot easier in the long run. For additional tips and tricks or to read other excerpts, check out the excerpt section on bobbyowsinski.com. Last week I posted a song analysis of "For The Love Of Money" by The O'Jays, which was done at Philadelphia's famed Sigma Sound. Sigma was at the heart of the Philly Soul sound of the 70s and is often overlooked in the annals of pro audio. The fact of the matter was that Sigma was always on the forefront of studio innovation. It was the second studio in the US to offer 24 track recording, one of the first to use a DI to record bass, and the first to have console automation! All of these features are so mundane today, but way back then they were a big deal. Here's a great video of Sigma owner and engineer Joe Tarsia describing what Sigma was like back then. Why are some singers naturally gifted and others tone deaf? That's what researchers in Montreal and Warsaw wanted to find out. In a new study published in the Journal of The Acoustical Society of America called Singing Proficiency in the General Population, Isabelle Peretz, Jean-Francois Giguere and Simone Dala Bella tested the singing abilities of 62 non-musicians in Quebec. They asked random individuals to sing a verse from a song called "Gens du Pays," which is a common French birthday song. The verse of the song was chosen because it has 32 notes, a vocal range of less than an octave and a stable tonal center, according to the researchers. What they found was that most of the untrained singers were actually pretty good at carrying a tune. 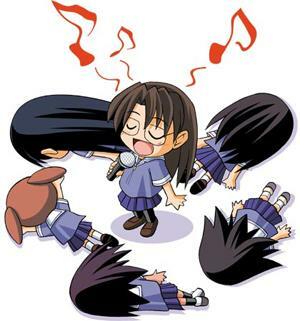 Their timing was good, but their pitch wasn't as accurate as professional singers. The interesting thing was that when asked slow down, the untrained singers pitch improved greatly, almost to the point of being as good as a pro. But there were a small minority of really bad singers, who claimed that they were "tone deaf." It turns out that they were anything but. When tested, they were actually remarkable good at hearing pitch deviations, they just were bad at executing them. Probably the biggest problem with recording a vocal is pitch. If this study holds true, the simple act of slowing the vocalist down to go over the part might be a quick and easy way to improve a performance. Anybody care to try this and report back? If interested, you can check out another similar study here. Any of you "classic" engineers reading have probably used Auratone 5Cs at some time during your career, but since they haven't been made for some time, most of today's engineers have not yet had the pleasure. The Auratone (or "Horribletone" or "Horrortone" as many called it in the day) was a 3 1/2 inch speaker in a very small un-ported square cabinet. Unlike virtually all other speakers, it was never meant to sound good, only an average of the typical consumer playback system of the time. It fact, it sounded mediocre at best and that's why studio rats liked it way back when. If your mix sounded great the Auratones, then you could be pretty sure that it sounded great anywhere. The fact is that the Auratone 5C was the first more or less "standard" reference speakers for the studio, way before the Yamaha NS-10C held that distinction. But just like the NS-10, the Auratones haven't been manufactured for some time. As a result, you now see them on Ebay for $500 a pair or even more. As with all things vintage, many engineers who discarded their 5Cs years ago now wish they had them back. And now they are, brought back to life as the Reftone, a new representation of something that so many found so useful in the past. 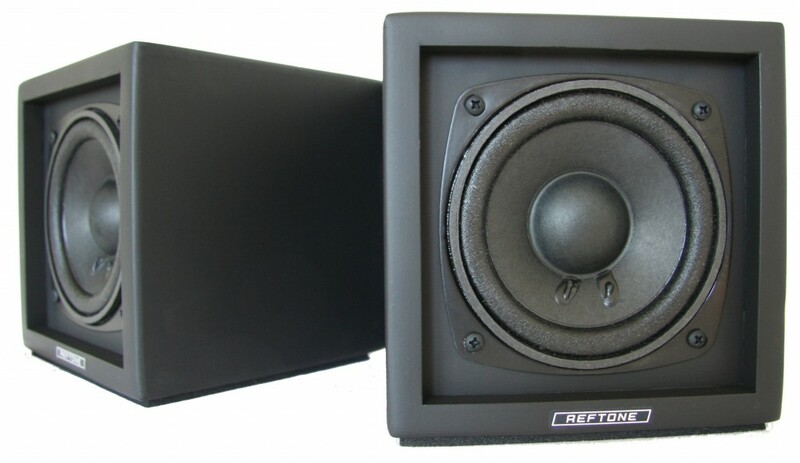 The brainchild of engineer Dave Hampton, who had previously built custom versions for Prince and Herbie Hancock, the monitor is updated with a new heavy-duty shielded driver and made from birch instead of MDF. Plus they have a slightly smaller footprint than the original Auratone 5C. That said, the word is that they still sound very close to the old Auratones. Reftones retail at $299 a pair and are available in a variety of different colors and wood enclosures. By the way, these speakers are passive, so you have to supply your own amp. The amp/speaker combination is critical so there's a list of amp suggestions of the Reftone site. You're not going to get big thumping bass out of these things, but that's not the point. It's the midrange that so important to definition in a mix, and that's what these are best at. Here's a short video from producer Randy Emata regarding the monitors.